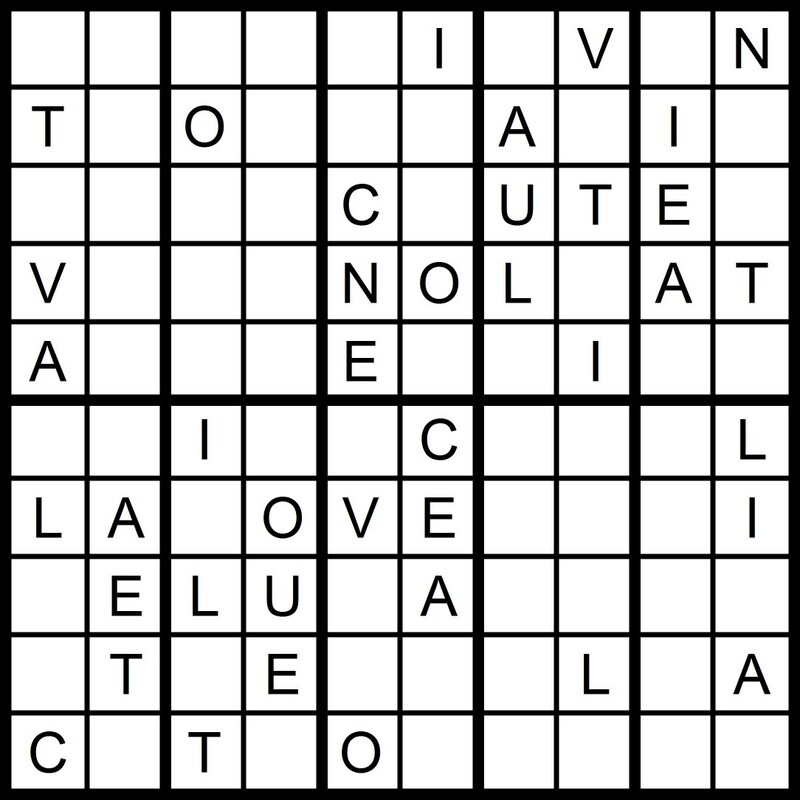 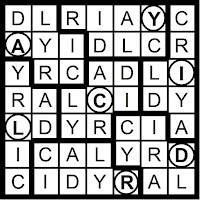 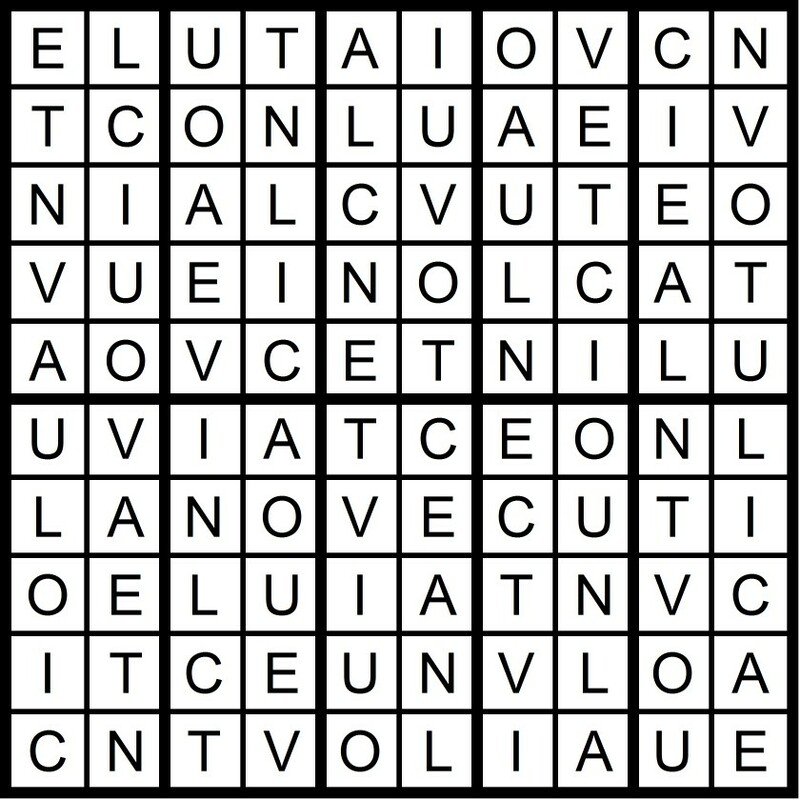 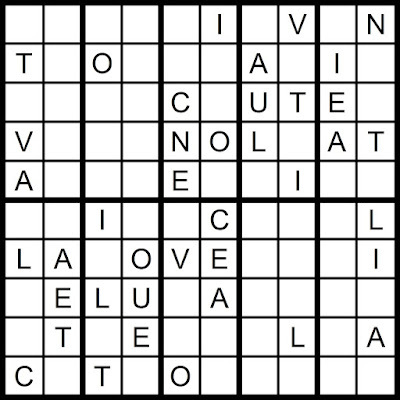 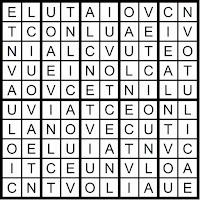 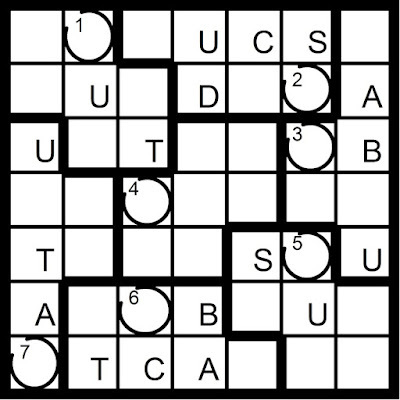 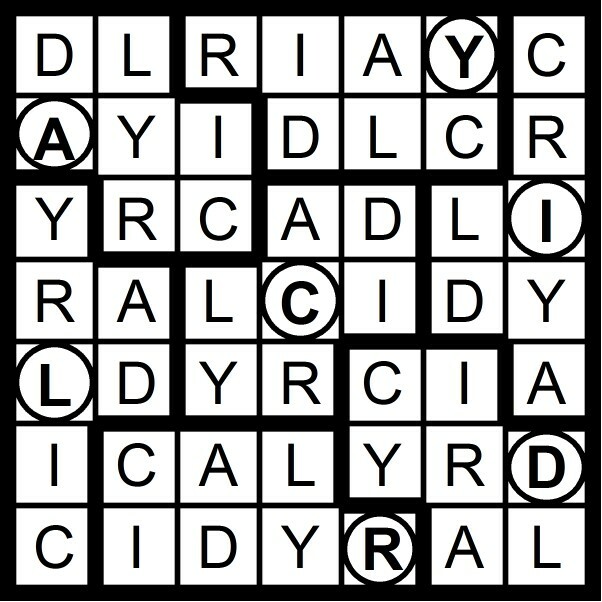 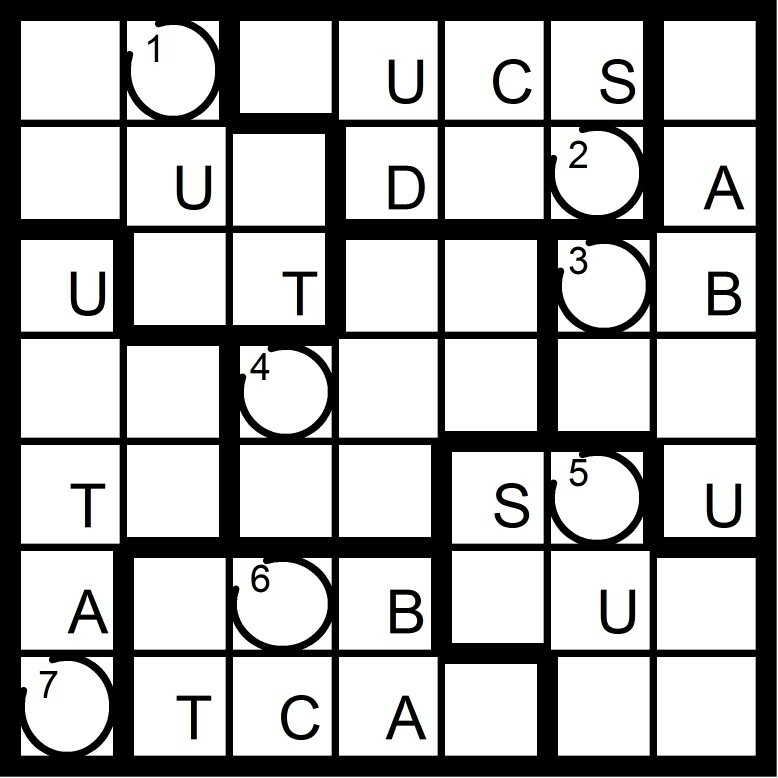 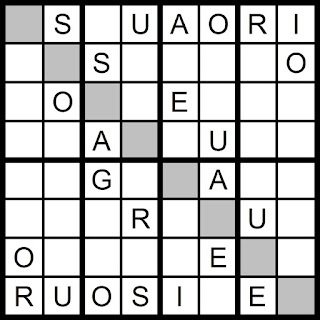 Today's 10x10 AEIOU Word Sudoku puzzle contains the letters in the word NOVACULITE. 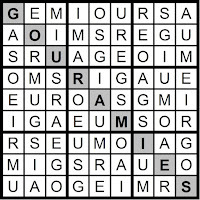 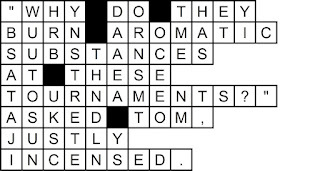 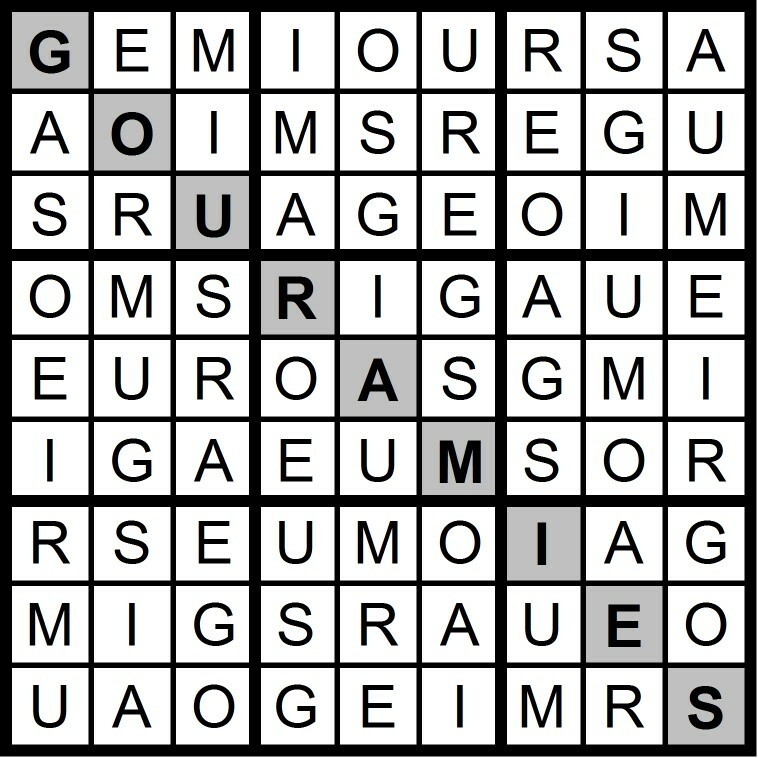 Yesterday's 9x9 AEIOU Hidden Word Sudoku puzzle was based on the letters AEIOU + GMRS (GOURAMIES). 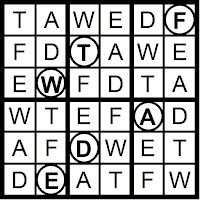 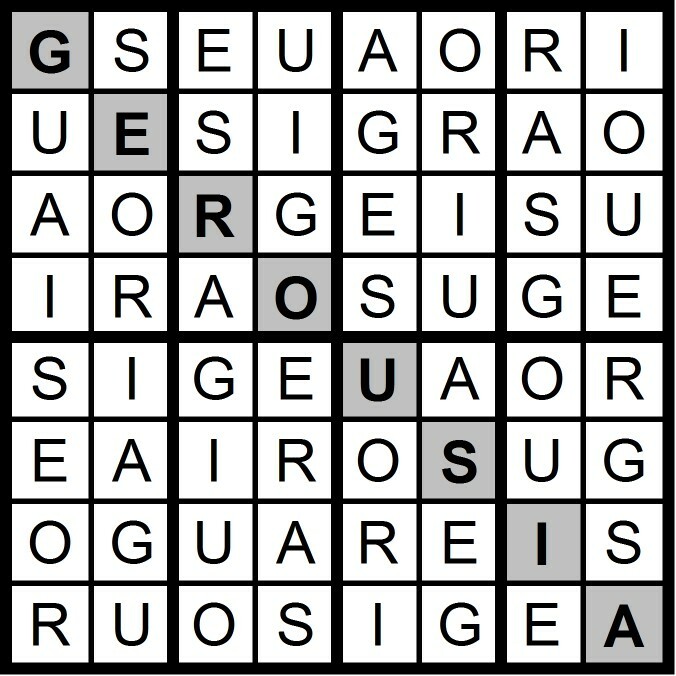 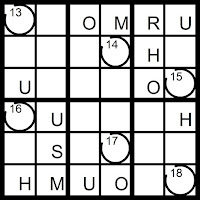 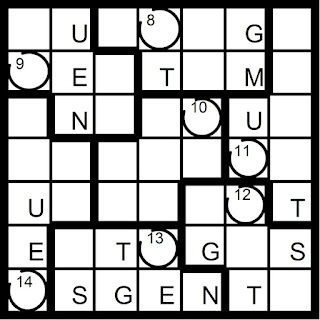 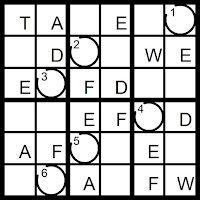 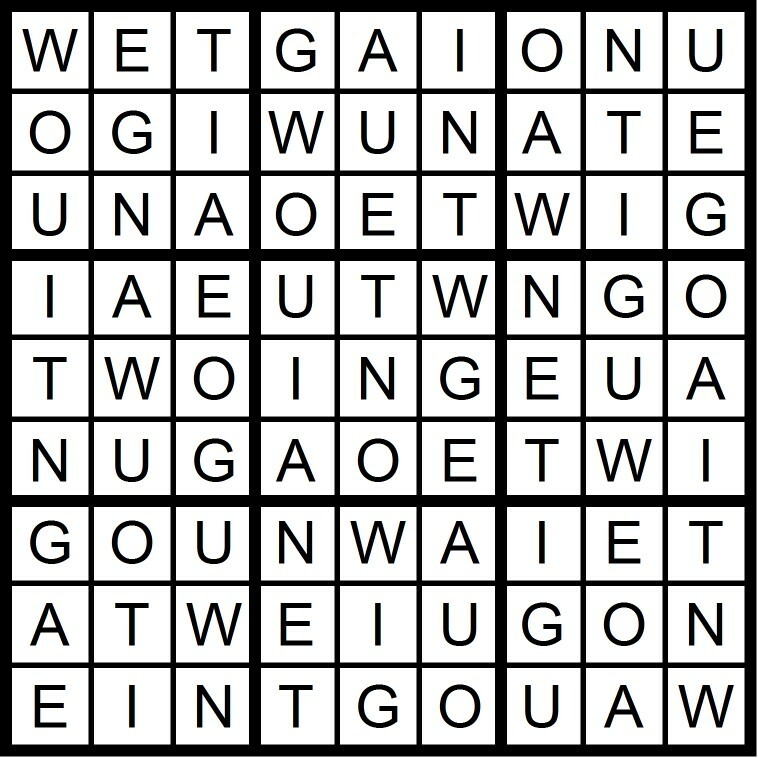 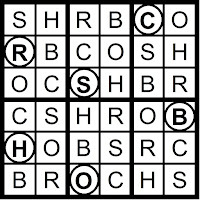 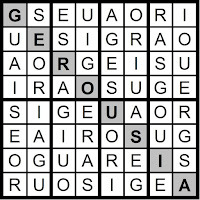 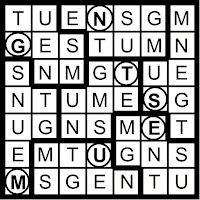 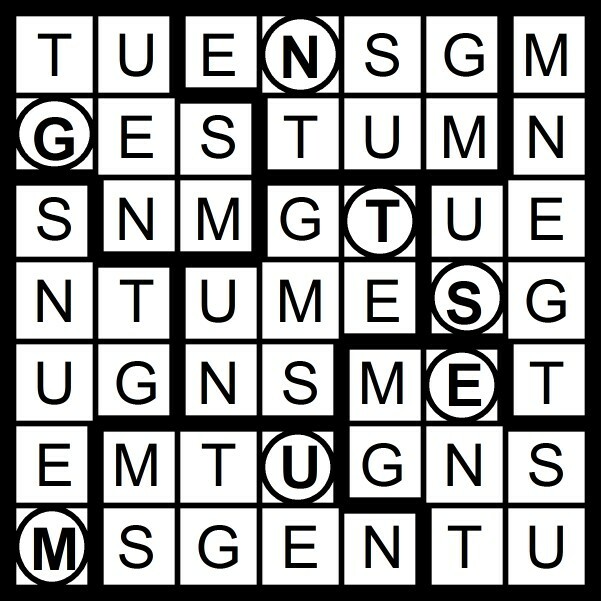 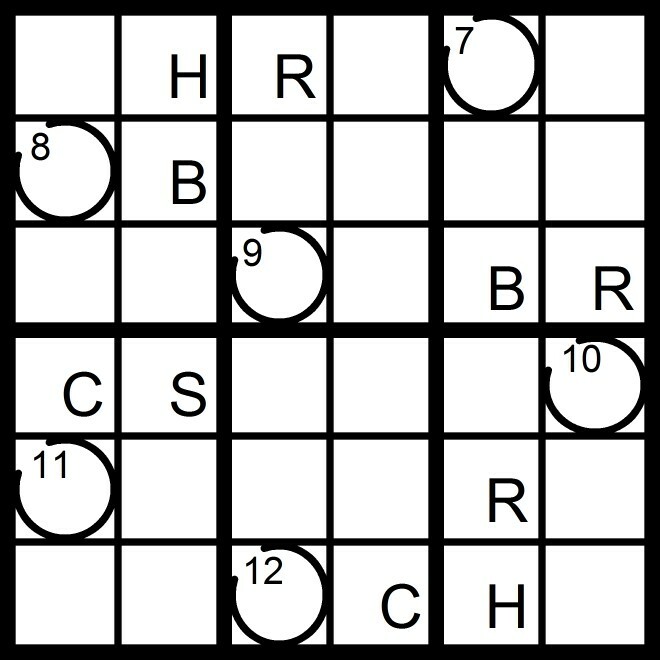 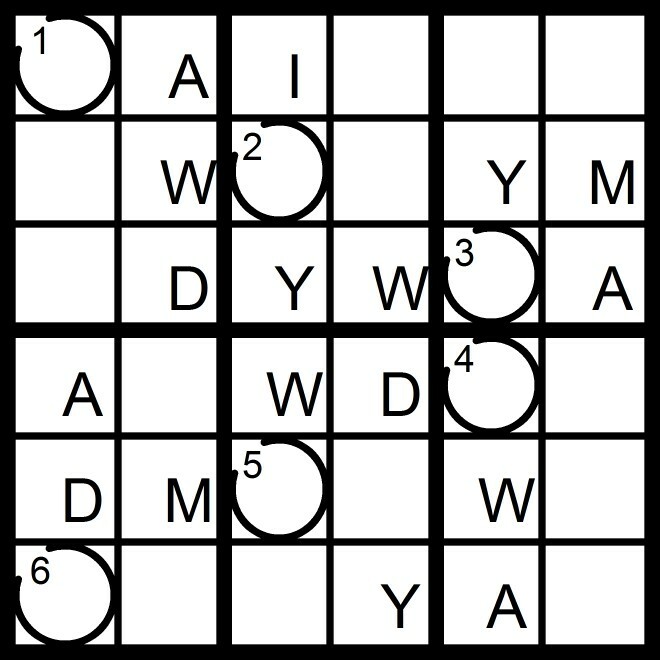 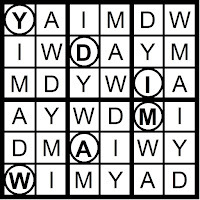 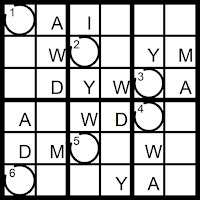 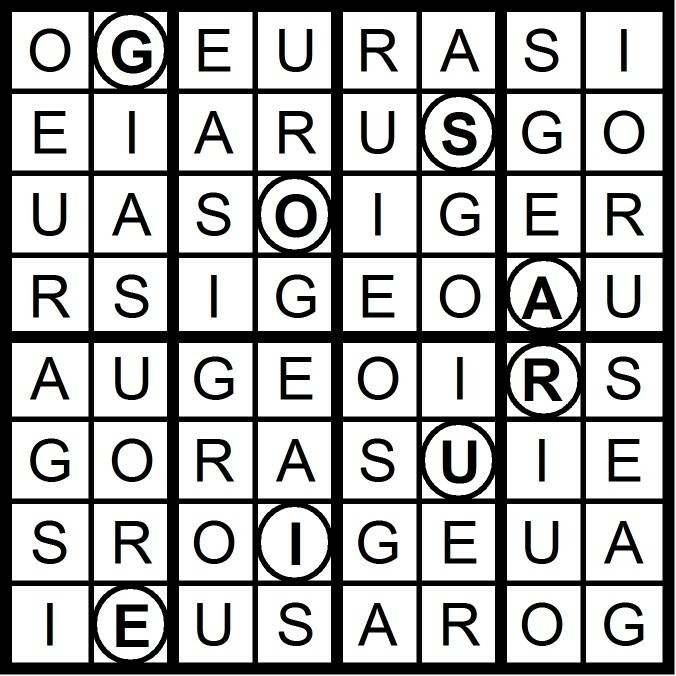 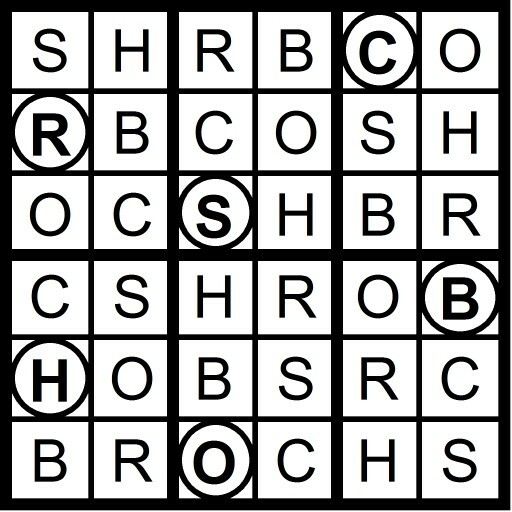 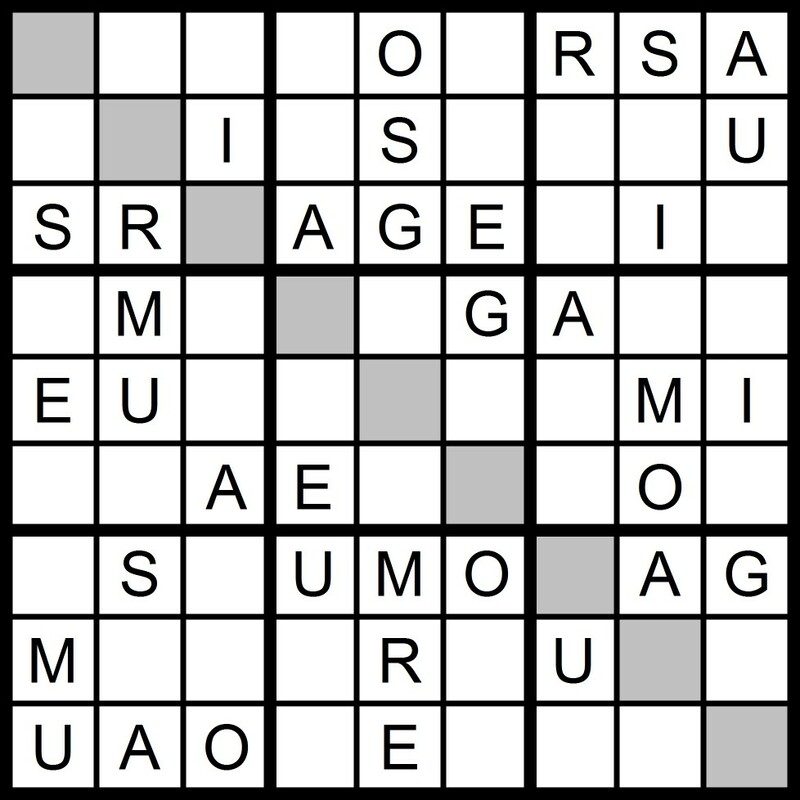 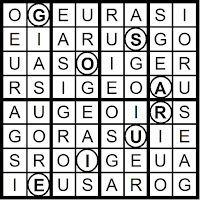 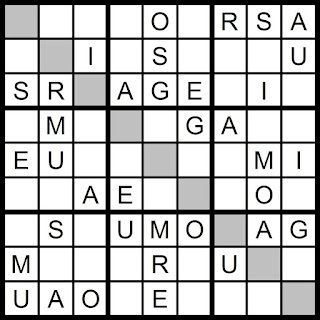 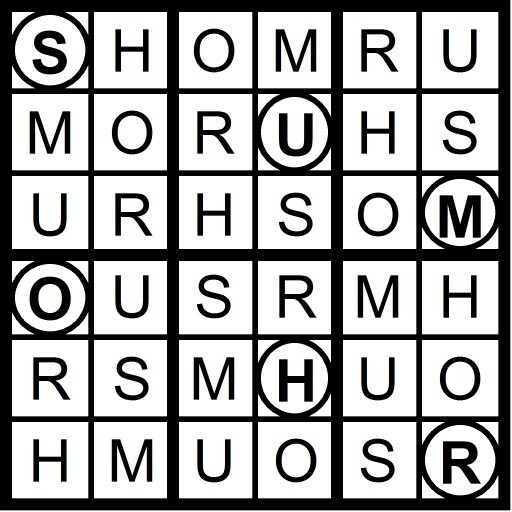 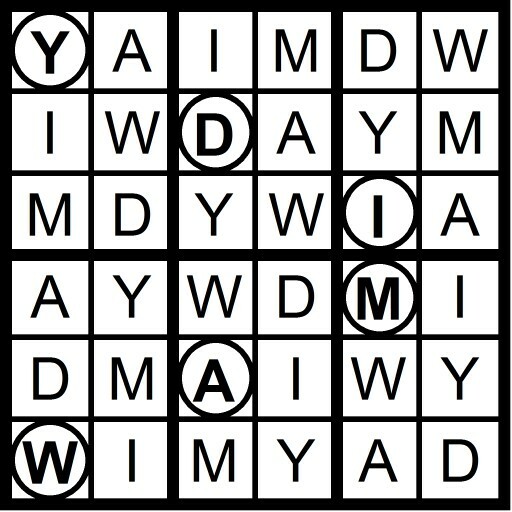 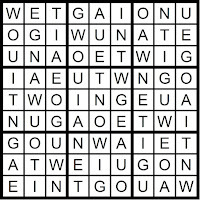 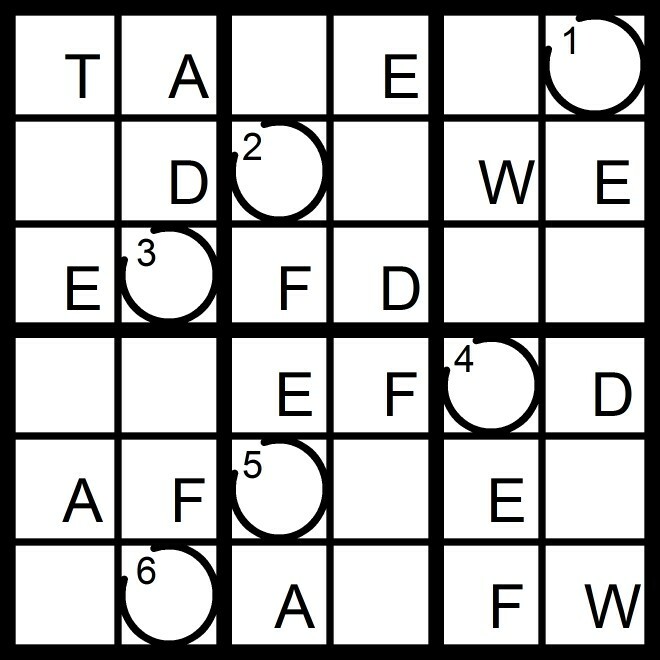 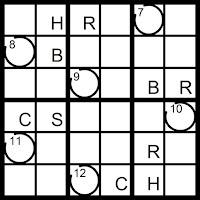 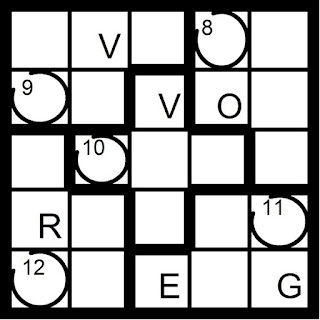 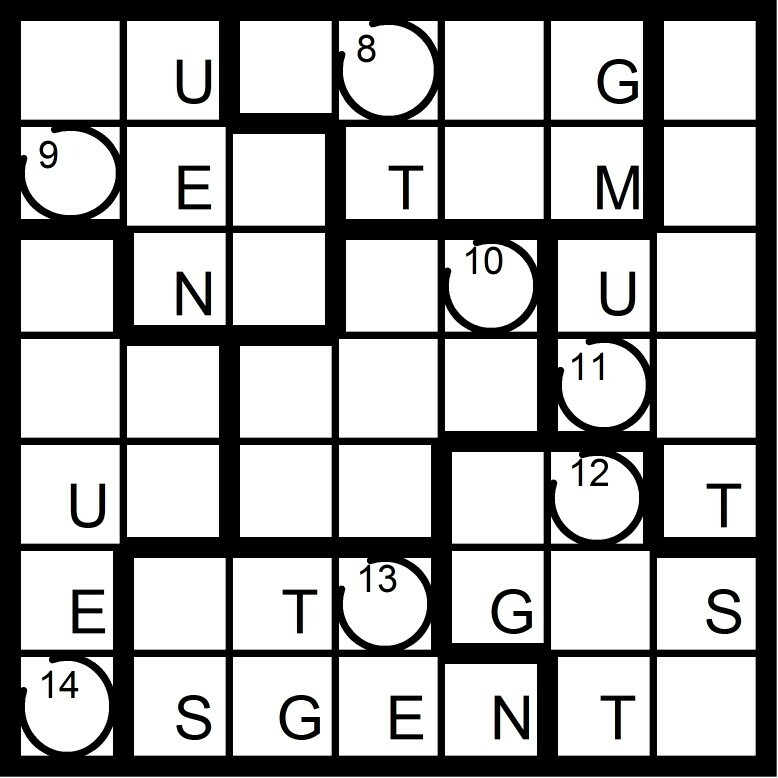 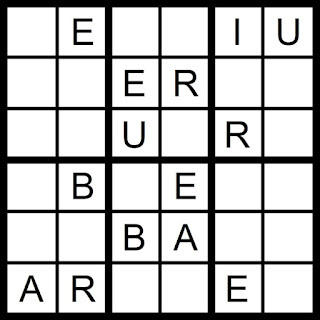 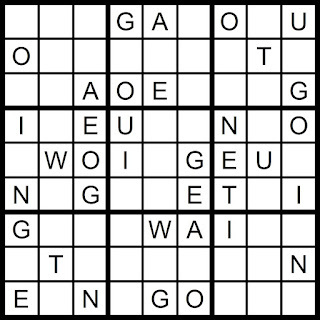 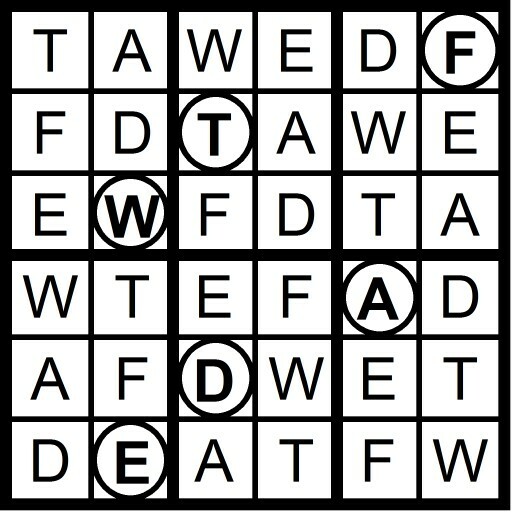 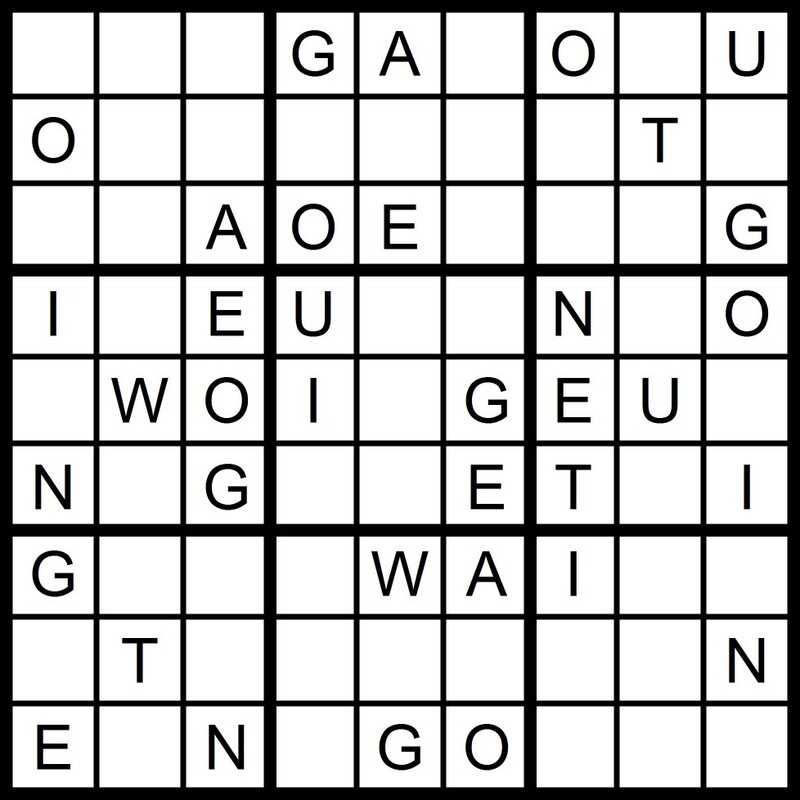 Today's 9x9 AEIOU Hidden Word Sudoku puzzle contains the letters AEIOU + GMRS. 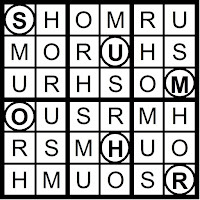 Yesterday's 5x5 Word Sudoku puzzle was based on the word TAHOE. 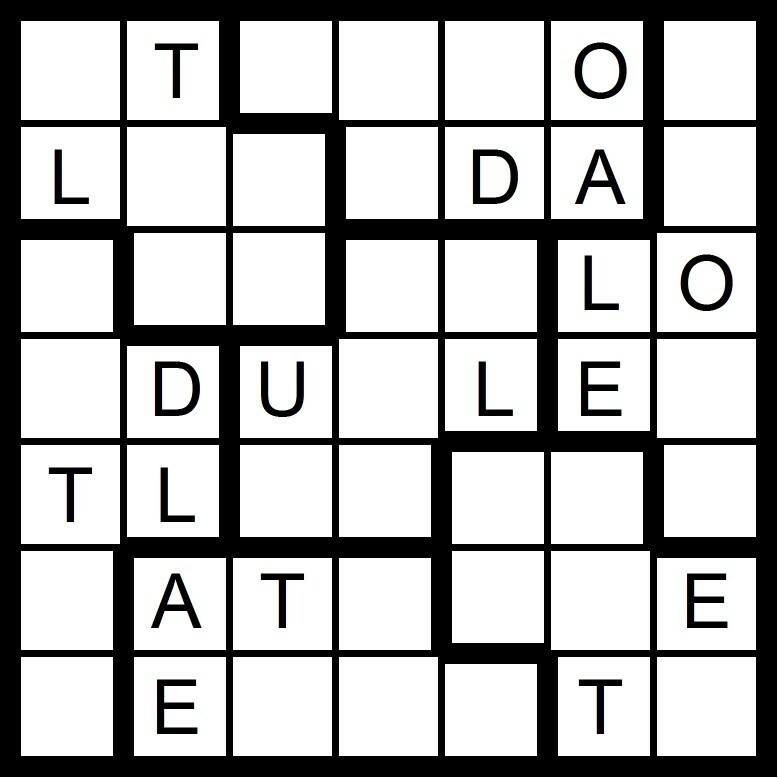 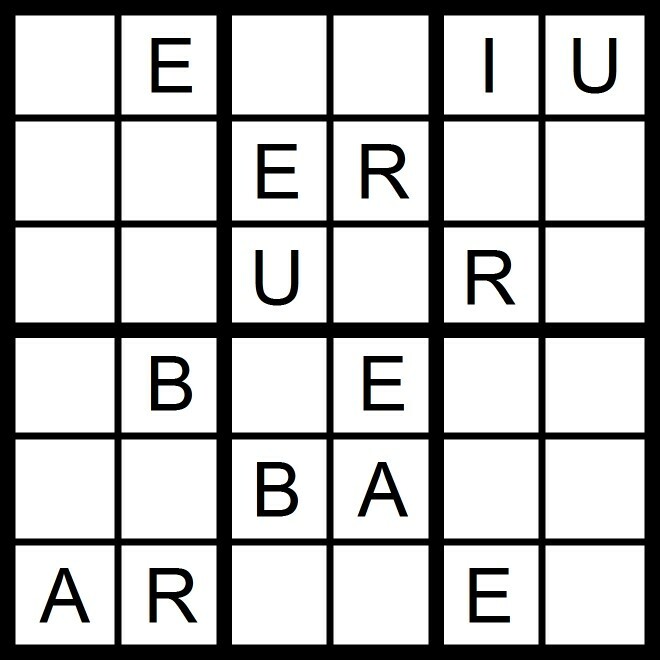 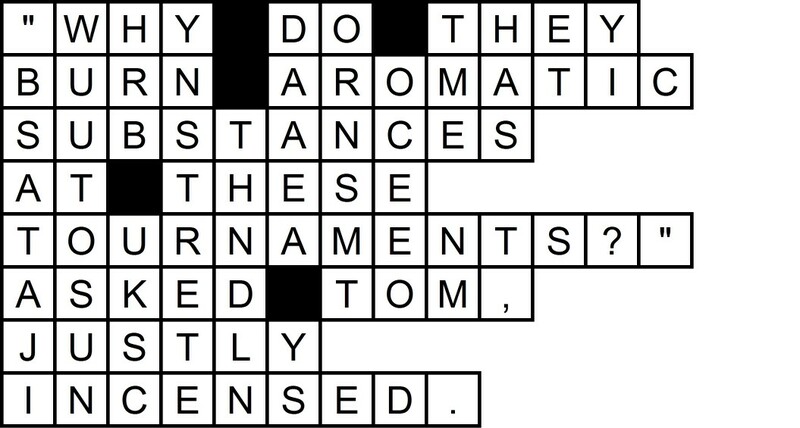 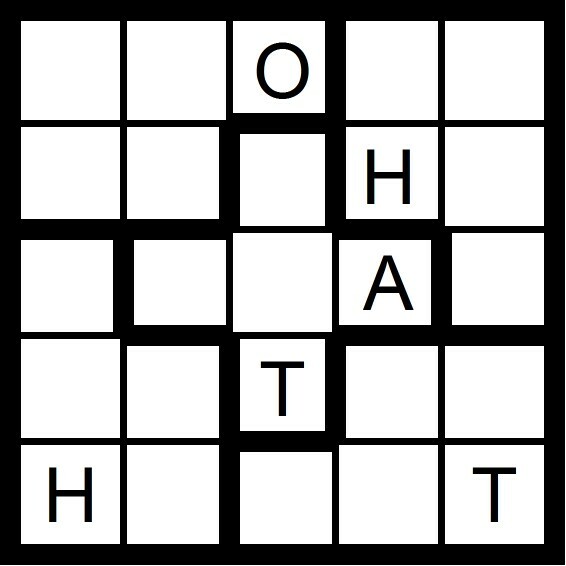 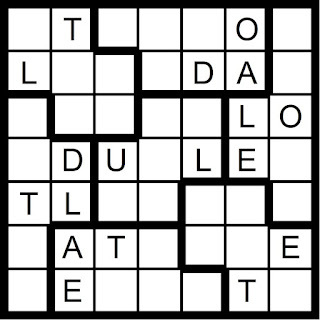 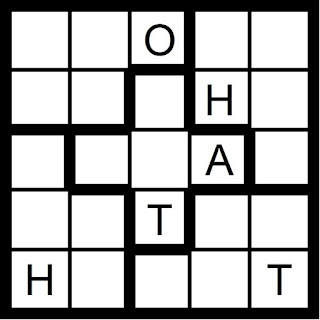 Today's 5x5 Word Sudoku puzzle contains the letters in the word TAHOE. 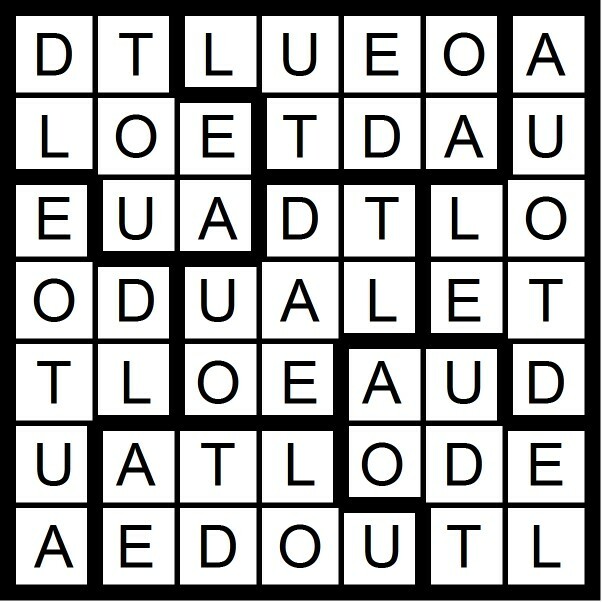 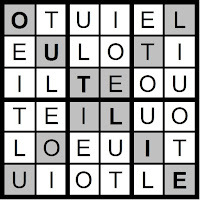 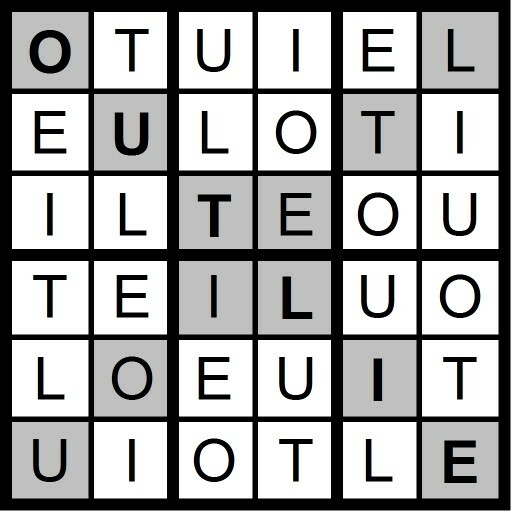 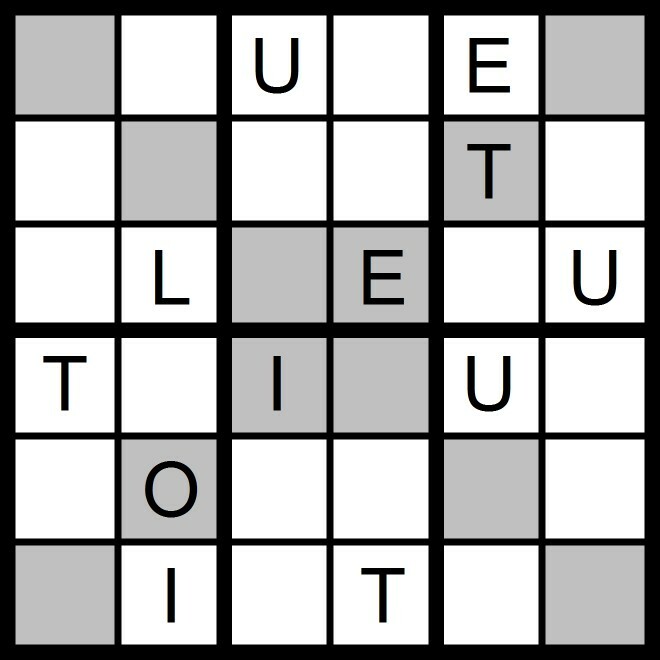 Yesterday's 6x6 Diagonal/Hidden Word Sudoku puzzle was based on the letters AEIOU -A + LT (OUTLIE). 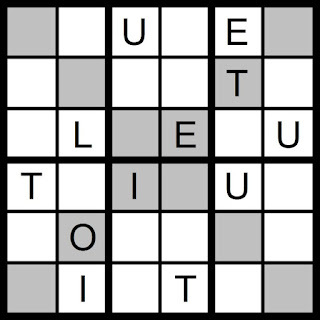 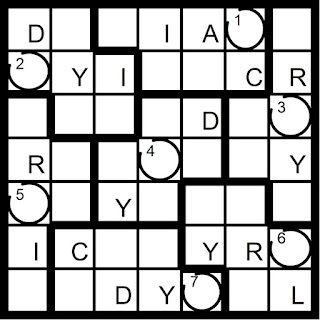 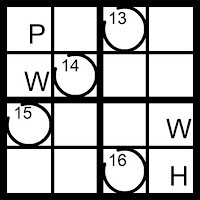 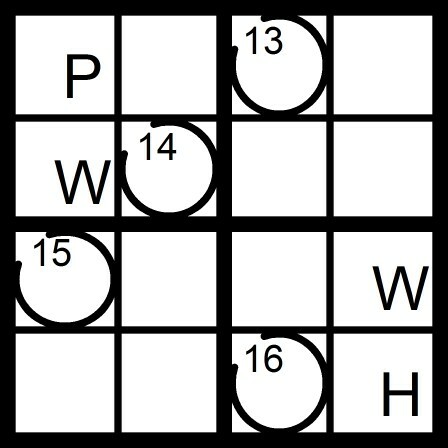 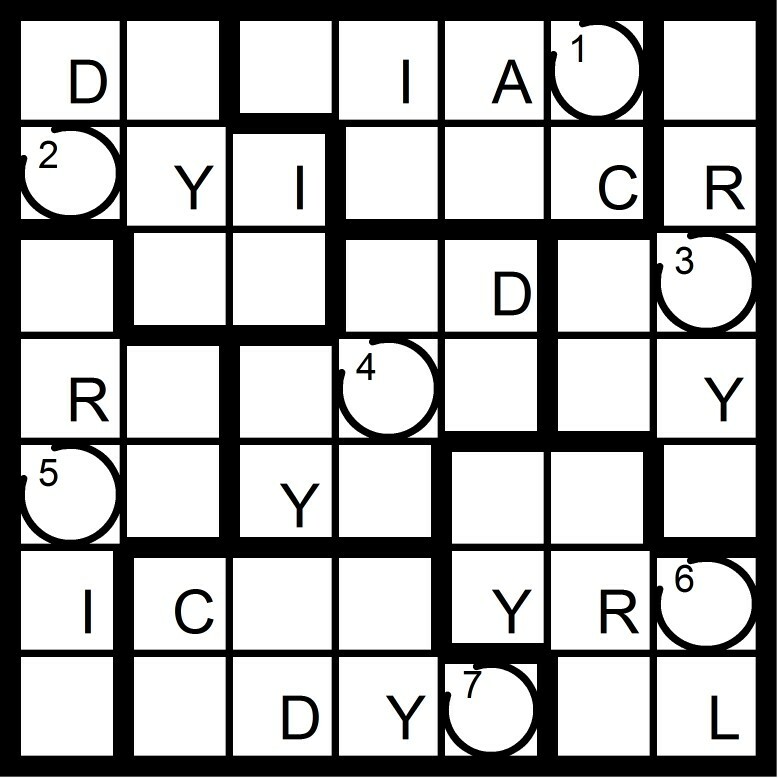 Today's 6x6 Diagonal/Hidden Word Sudoku puzzle is based on the letters AEIOU -A + LT. 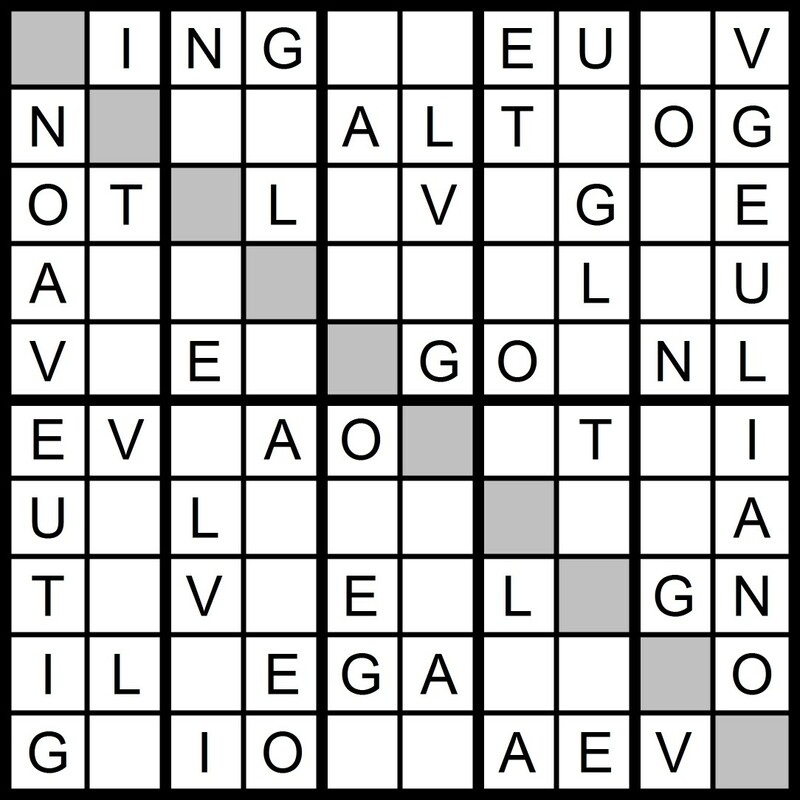 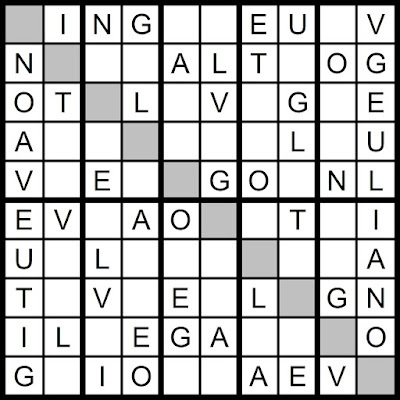 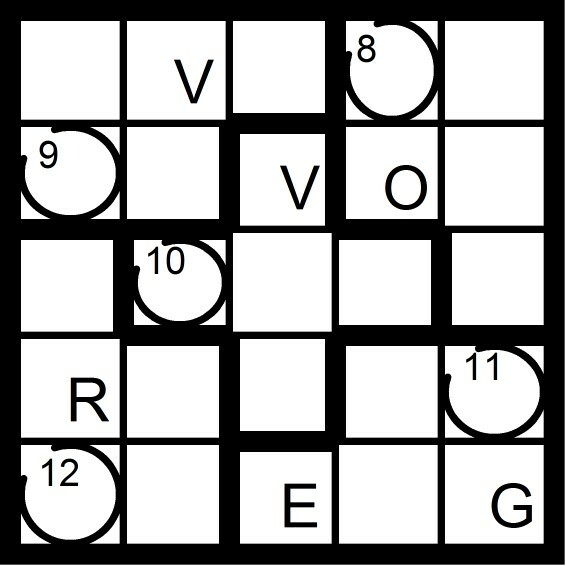 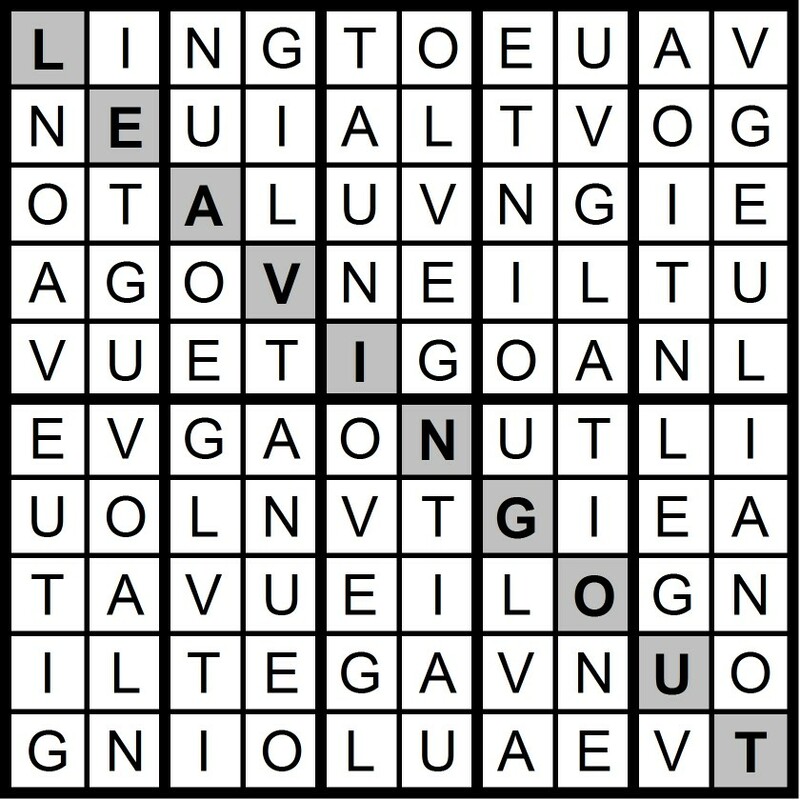 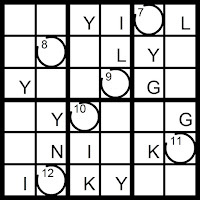 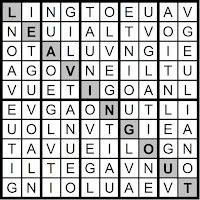 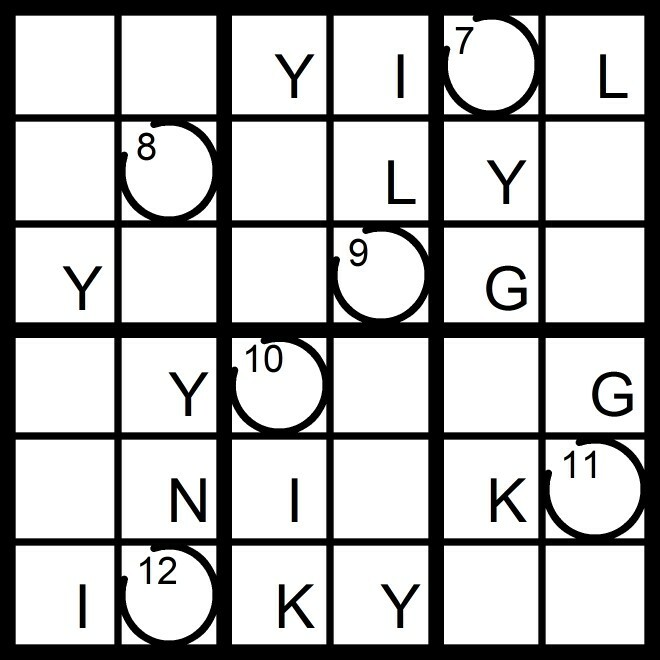 Yesterday's 10x10 AEIOU Hidden Word Sudoku puzzle was based on the letters AEIOU + GLNTV (LEAVING OUT). 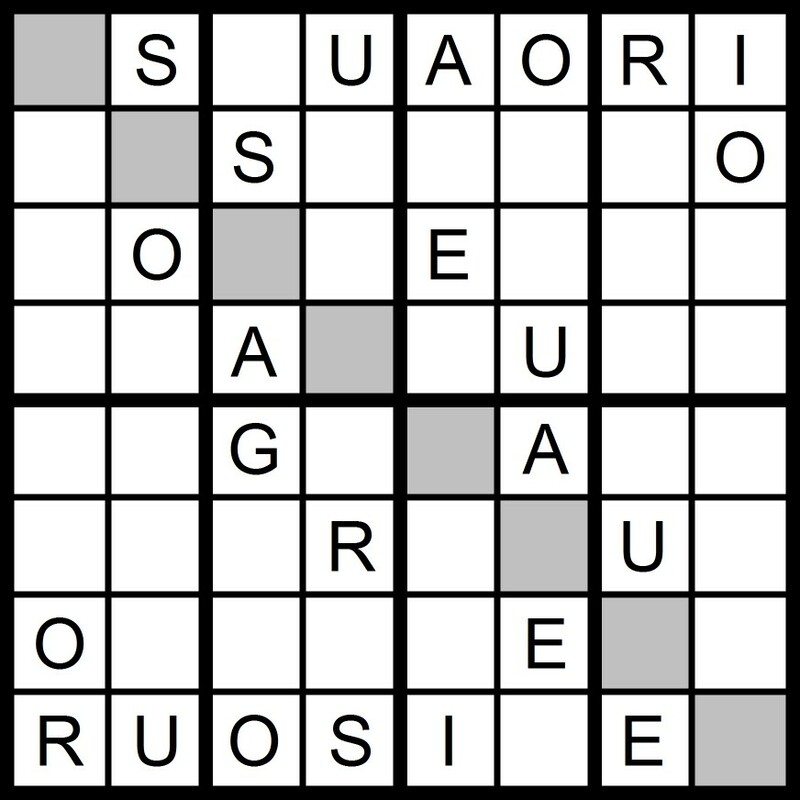 Today's 9x9 AEIOU Word Sudoku puzzle contains the letters in the words TWO GUINEA. 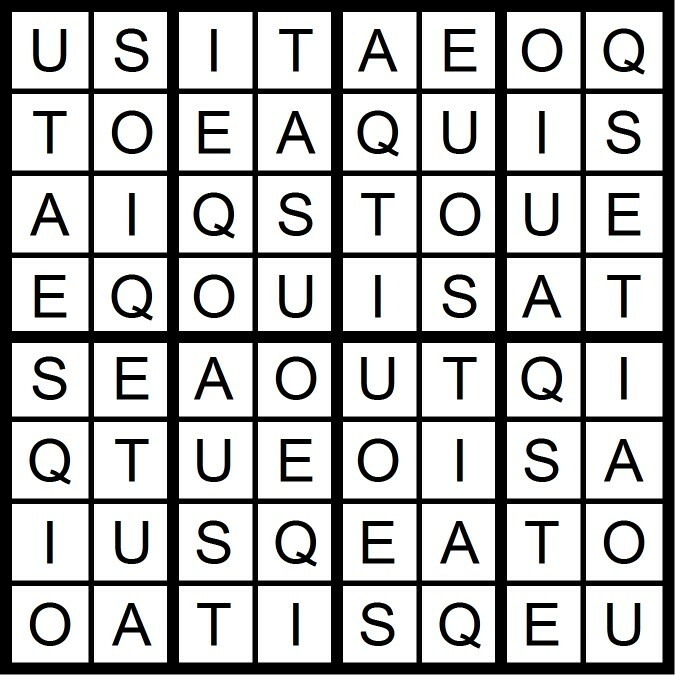 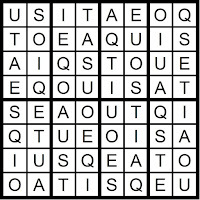 Yesterday's 8x8 AEIOU Word Sudoku puzzle was based on the in the word QUAESTIO. 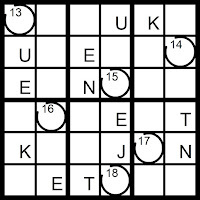 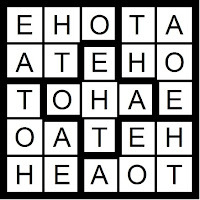 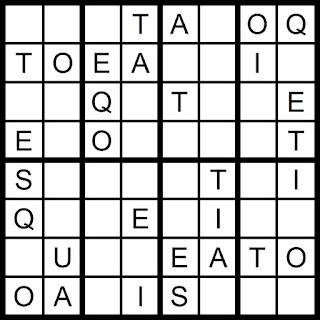 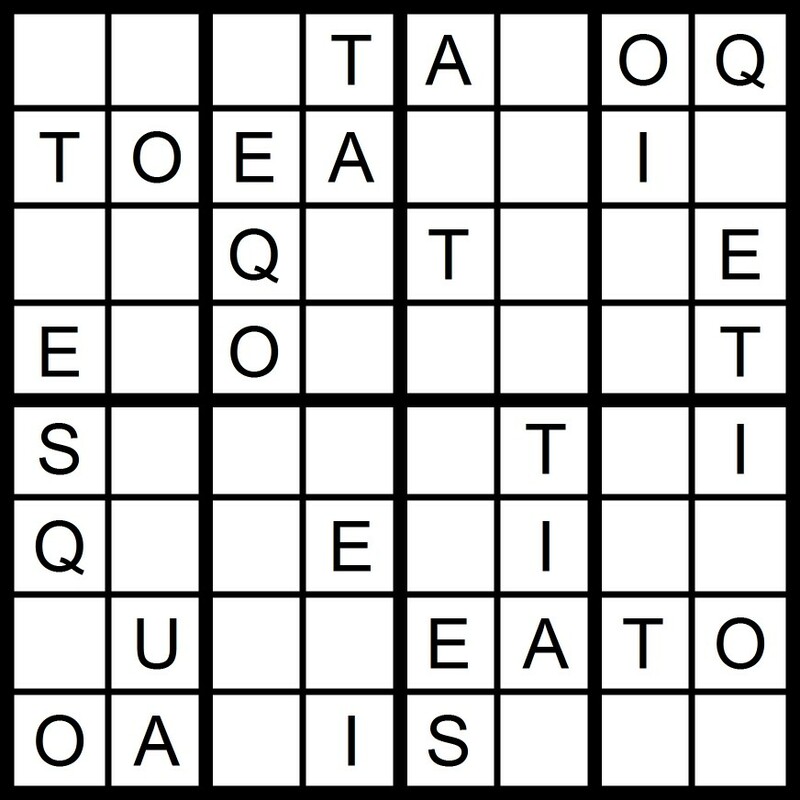 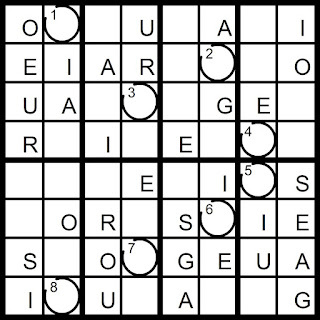 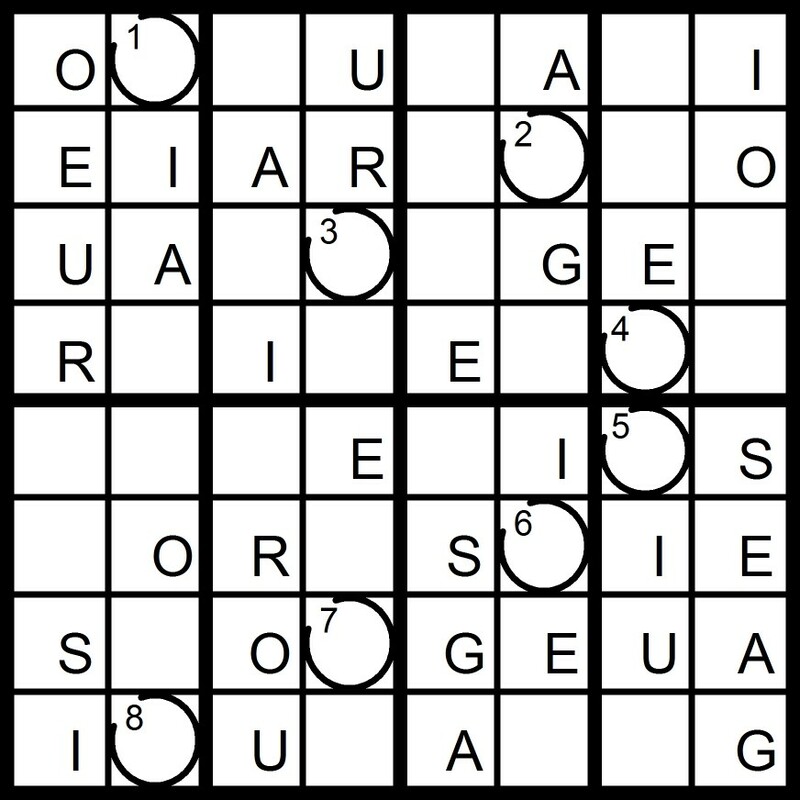 Today's 8x8 AEIOU Word Sudoku puzzle contains the letters in the word QUAESTIO. 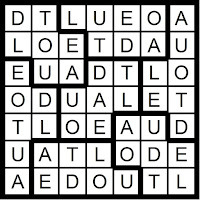 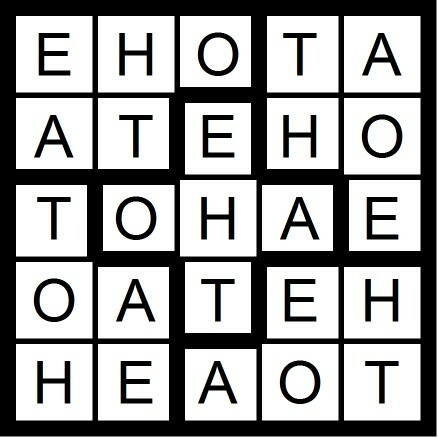 Yesterday's 7x7 Word Sudoku puzzle was based on the words LEAD OUT. 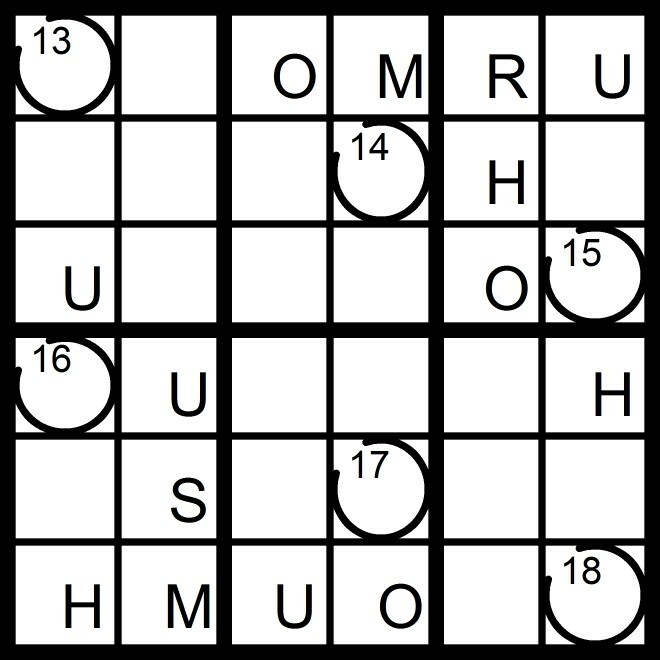 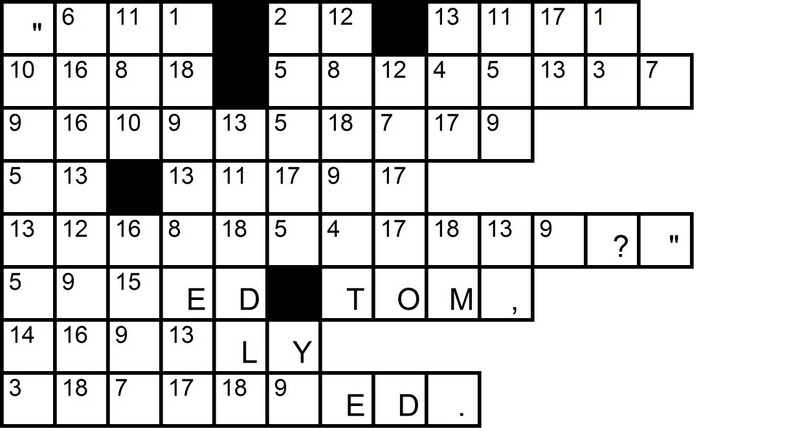 Today's 7x7 Word Sudoku puzzle contains the letters in the words LEAD OUT. 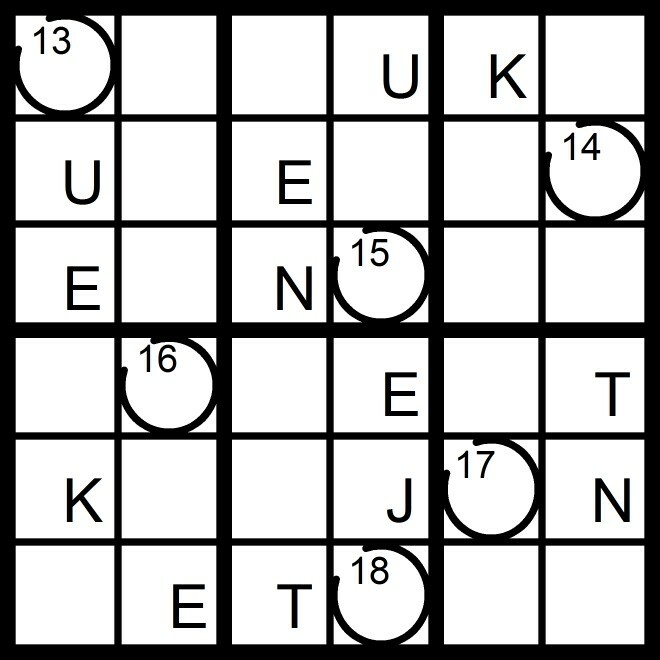 Yesterday's 6x6 Word Sudoku puzzle was based on the word BIUREA. 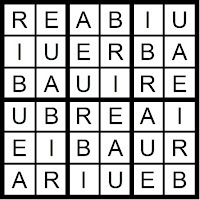 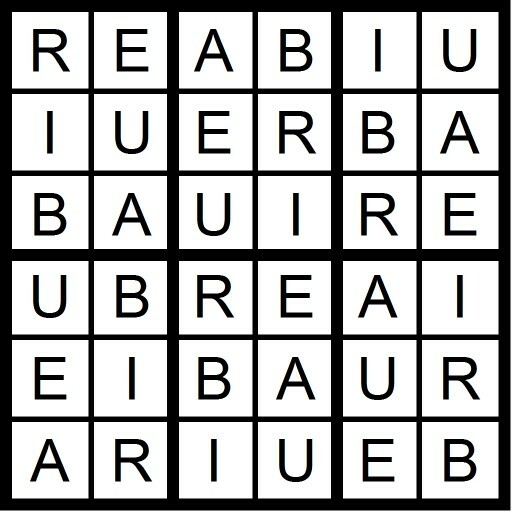 Today's 6x6 Word Sudoku puzzle is based on the word BIUREA.